VPIX Virtual Tours can boost your small coffee shop's sales and attendance with the help of posting your Virtual Tour on social media platforms, such as Facebook. You can share daily specials, new events, live shows and art exhibitions to attract more customers. With VPIX Virtual Tours and social media, your ambitions are as big as your dreams and the clients you can share it with, on a daily basis. 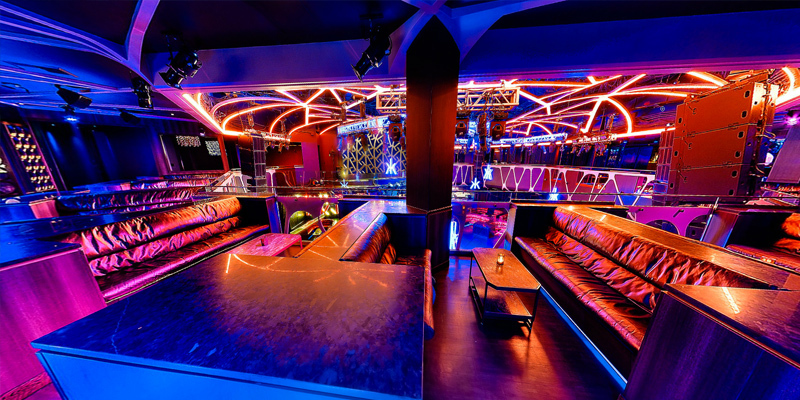 Restaurants can utilize VPIX Virtual Tours to allow customers to view the venue, the menus, look for their favorite seating, and even see the latest gourmet selections the chef has to offer, before even setting a foot in the restaurant. Fast food chain Domino's has taken South Africa by storm. 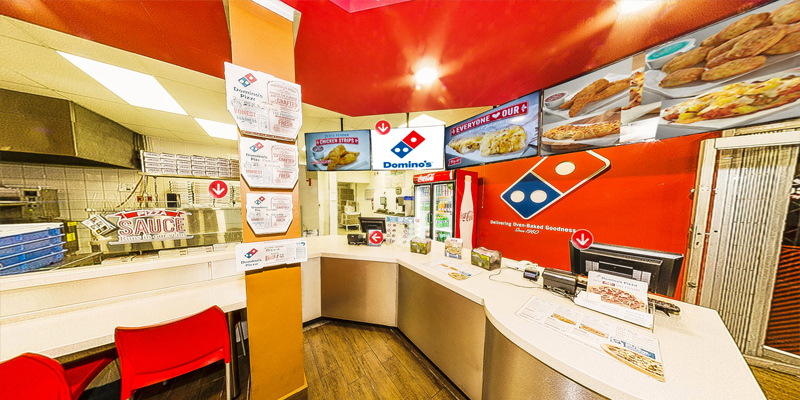 View what the interior of this major pizza store looks like up close, with VPIX Virtual Tours. 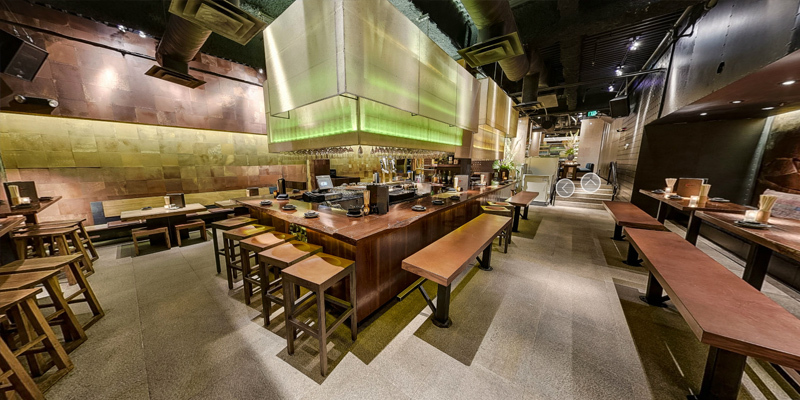 More restaurants are firing their Google 360 photographer and going with VPiX. It’s easy to see why. 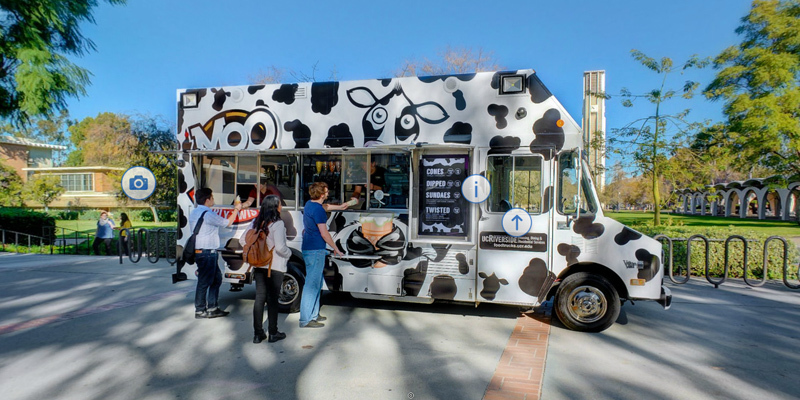 UC Riverside has a great selection of food trucks that feed a lot of students. VPiX 360 courtesy of Jason Sievert of Invision Studio.